When I envisioned writing this year-end list way back at the start of 2012, I did not expect it to look like this. The amount of albums I did not pick up in 2012, that I fully expected to when I was looking forward to the year ahead, is a little embarrassing. I also barely touched the radio this year. Just about every mainstream airplay hit that I listened to came through dodgy work speakers and was repeated way too many times to allow me to appreciate. There was also that whole K-Pop thing. As a result of these factors, this list is being drawn from an alarmingly small pool. Having said that, there were some real musical highlights for me in 2012 anyway. From upbeat tracks to soaring ballads, I did enjoy plenty of tunes throughout the year, and my top ten favourites follow. As I said in my first proper blog post on Vagrant Rant, however, the nature of music as a highly subjective thing probably makes this list the most personal of them all, so don’t expect too much common ground. This list represents my opinion only. I am not asserting any kind of superiority or self-importance by presenting it as I have. My opinion is not fact. If you actually agree with me 100%, that’s scary. You have been warned, fanboys. Stuck in a pretty misfiring album, Ladykiler sees Maroon 5’s Adam Levine putting his trademark falsetto into overdrive to the steady, medium tempo beat of an unusually low-energy yet persistent song. The combination begets a surprisingly refreshing result. Overexposed tries many different things that stray from the classic Maroon 5 sound, and most don’t play out so well, but with Ladykiller the album strikes something worthwhile. The only song on this list that I did not discover on an album, but rather via the radio, Good Time combines the vocal talents of two recently successful artists and puts them to work on a track that keeps things simple in the best way. The song reminds me a lot of Danish pop group Alphabeat, whose work I adore, and that chorus is just so sticky. I went entire days with this song lodged in my head in 2012. 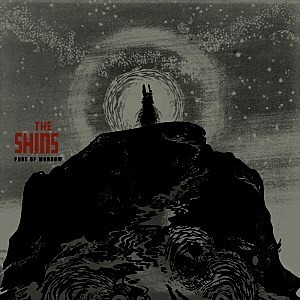 Throughout this year, the opening track of The Shins’ 2012 album Port of Morrow just kept showing up. Name a significant moment in 2012 and it wasn’t too far away. But far from damaging my opinion of the song, these re-appearances simply allowed it to grow on me. It began the year as just another one of my sister’s “indie-sounding” songs, but after a while I was loath to skip it whenever it came on during an iPod shuffle session. That opening just sounds too good. Coming right out of the blue, The Way stands right out from Matchbox Twenty’s long-awaited comeback release, North, because it isn’t sung by regular frontman Rob Thomas, but rather by lean lead guitarist Kyle Cook. And he sings it pretty damn well, ably supported by the backing vocals of the band’s resident jack-of-all-trades Paul Doucette. Cook also wrote the song, which makes it all the more impressive (and bewildering that he hasn’t shown his talents like this before). 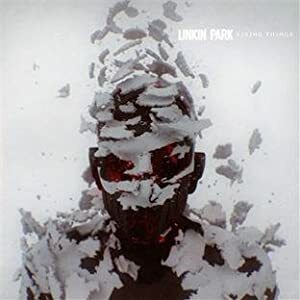 I enjoyed the majority of Linkin Park’s slightly more confident 2012 release, Living Things, which was plenty content to try a stream of new things. Roads Untraveled was one of these new things, a folk-inspired slow-burner with the standard dose of semi-industrial sound sampling that makes liberal use of both the band’s lead singers. The lyrics feel disarmingly genuine to boot. Lana del Rey’s voice was taylor-made for this kind of serenade, a tribute to the vaudeville performances of old that stands out from the deliberately seedy material of the rest of her sensational debut album, Born to Die. The captivating drawl that she puts on with such apparent ease matches up fantastically well with the wistful lyrics of the song, creating an end product that remains a great listen long after you first hear it. Much like The Rifle’s Spiral, Capsule’s Step on the Floor is a song that just didn’t go away in 2012. The fact that the album it comes from, Stereo Worxxx, was released around the same time as Morrow may be a factor in this, but so is the genius of the song within the context of its genre. Capsule’s Japanese techno/dance sensibilities don’t really get old as far as I’m concerned, so the insertion of a great multi-phased, pop-style hook into their normal formula works wonders. 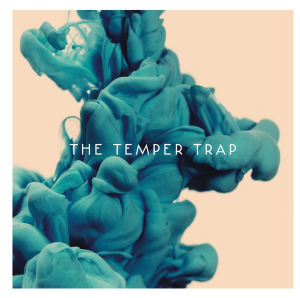 To follow and match the album that gave the world Sweet Disposition, in my opinion one of the greatest songs of this generation, was frankly an impossible task for The Temper Trap. Yet, if you’ll forgive the pun, it’s nothing short of a miracle that the band were able to come up with another ballad of such high quality. It’s not quite in Disposition‘s class, but it is very good nonetheless. Parade is the perfect opening track to an album marking an artistic return a decade in the making. It’s the kind of reassurance a fan is looking for; a ballad with enough classic Matchbox Twenty markers to indicate that perhaps their return to music won’t be too bad. This kind of song is the perfect vehicle for Rob Thomas’ famous voice, Thomas’ self-penned lyrics are typically heartfelt and, from the first cascading chords, it’s vintage magic.